Going to the #SmartFamilyTies event made me feel so grown up. I can't believe it won't be too long when I start deciding things for my own family. And being in the company of Manila's well-respected mommy-bloggers was quite reassuring. It's a good thing that I have been independent for a long time that I feel that I'm equipped enough to make good decisions for my family. During the event, our host Maricel Laxa-Pangilinan, interviewed Mommy Mundo Founder Janice Villanueva and DDB PR maven Ana Ongpin, in sharing their ways to make life easier for them as working moms. Both answered being able to utilize tools that are now available to them and securing time for their children despite their hectic schedules. It's important to them to be able to reach their children through either mobile or desktops, thanks to available softwares and apps that are literally right within their fingertips. Another is having a reliable connection, anytime, anywhere for moments that their children need them. From smartphones, tablets to laptops, these gadgets enable these two power moms to complete a day's work easily and still have more than enough time to enrich their children's lives. Maricel Laxa-Pangilinan with Janice Villanueva of Mommy Mundo and Ana Ongpin of DDB Tribal Philippines. Time has changed significantly when it comes to communication and SMART Postpaid is only bringing out the best of its technology to give us more time to live in the moment, especially with our immediate family. Postpaid Marketing Head for Smart, Kathryn Carag, along with her team found out how important it is for Filpino families to have unlimited access to each other through communication. Be it via text, calls, or data. And so the SMART Family Ties Postpaid Plans was a born. A genius way to consonantly stay connected with your family. You and your family get to enjoy multiple lines at an affordable with unlimited call and text to all SMART network, 200 free texts to other networks and 100 MB data access per month. And bring on the drumroll, each line comes with free smartphones! Initial phone models include the O+ USA 8.2, O+ USA 8.31, Lenovo A269i, Alcatel Magic, Lenovo A369i and the O+ 8.37. Now if that isn't a sweet deal! Right now, it's just me and the hubby. Soon, we'll have own little CC who will want her own mobile phone and I can't wait to apply our family with SMART Family Ties. But another thing that I need to look out for for my little girl is her safety when traversing the world of internet and unlimited access to calls and texts. With cyberbullying and prevalent online scams, I need the extra precaution for my child. SMART Postpaid partnered with Vodaphone in making Vodaphone Guardian App readily installed in their Smart phones when availing the Family Ties Plans. This App allows the parents to regulate their children's smartphone usage. Giving them control on the time to allow access to their phones at certain hours, ban calls and texts from predators and bullies, and provide access only to age-appropriate apps. I feel that I'll be a very strict mom who will constantly monitor whatever my daughter is doing. But I'm also scared to curtail her freedom and growth. It's such a relief that mothers like me work at SMART and sees parenting has to catch up with the changing times and providing innovations for us to become better parents to our children. Interested families who want to avail of Smart’s Family Ties Plans may contact 8488877 or dial *887 on their SMART mobile phones. 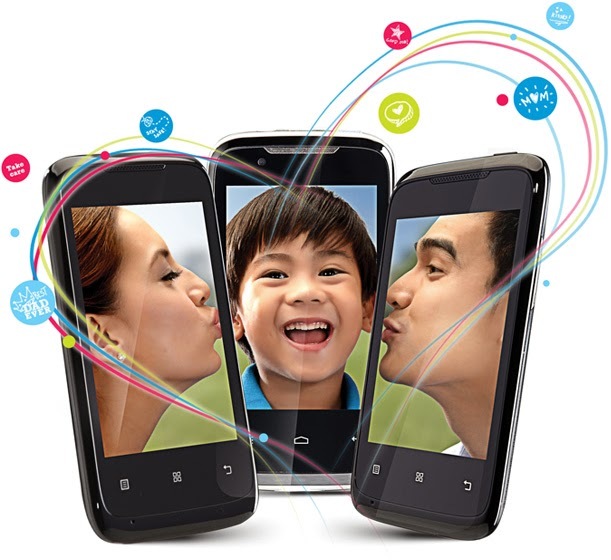 You may also proceed to the Smart Store nearest them or visit smrt.ph/familytiesplans for more details.